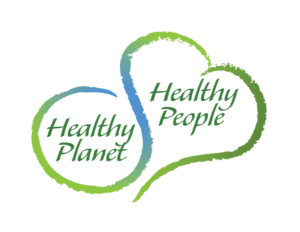 We are passionate about improving the health of both people and the earth. Hill Pharma’s proprietary, earth-friendly technology allows us to produce ingredients the way nature intended. Our Mission focuses on three guiding principles: Stewardship, Sustainability, and Community. We strive to be responsible for the natural resources which we have been entrusted with; develop and encourage truly sustainable practices and systems; and be diligent in strengthening our local and global communities. We are ever-mindful of our impact on the earth (both to its environment and people) and strive to make the lightest footprint possible. Our company was founded on the concept that all resources, both natural and human, must be treated with respect and fairness. We demonstrate our commitment to these principals through our support of organic farming, utilization of eco-friendly manufacturing processes, and products. We work to strengthen the environment and communities in which we live and conduct business. Hill Pharma continually strives to improve the communities in which we live and do business in. At home and abroad, our employees work in clean, safe and environmentally responsible facilities. We strive to treat our greatest resource, people – with respect and fairness. As we continue to grow, we will create even more jobs for those in our community. We understand that we cannot continue to flourish if the communities that sustain us are not also thriving. We are actively engaged in those communities we call home, and conscientiously work with local leaders to complement their charitable and philanthropic activities. Hill Pharma’s goal is to exceed expectations. We understand that time is a valuable commodity and commit to providing value and resources to all our customers.